Apologies from Linda for not being able to work in our Newburgh shop over the past week – she had to go to Southampton for the funeral of a much-loved Uncle. She is looking forward to being back in the shop! Two pregnant cats have been seen near our shop in ‘Muchty, one has now been traced. The other is a tortie – would the owner, or anyone feedling the cat, please contact Sue. 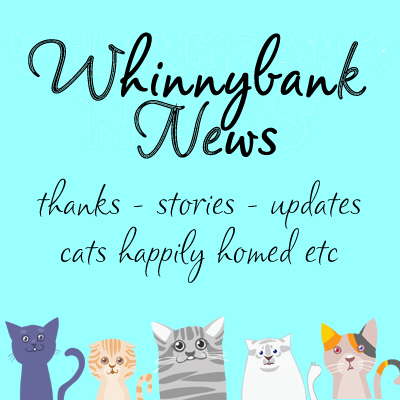 The owner of the white cat in Kingskettle has been found – he was unaware that she was pregnant! There is no sign of her 8-week old tortie kitten so please keep an eye out for her & let Sue know if you spot her. Thanks go to Marjorie for her kind donation of plants for us to sell, and to Doris of Springfield for her donation of bric-a-brac.